Association for Robots in Architecture | Happy Holidays! 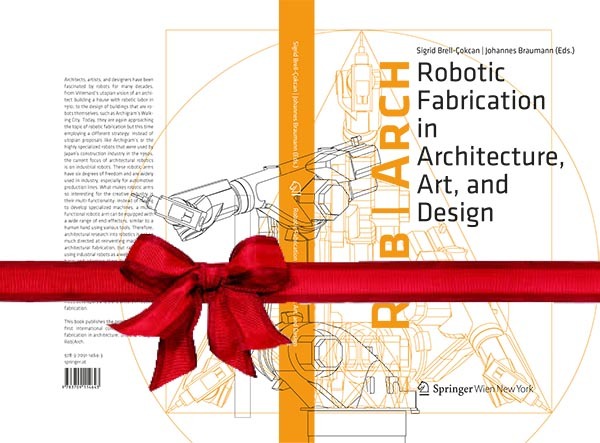 To celebrate a successful year 2013, the Association for Robots in Architecture has got a special thank-you for all their members: We’re making the “Rob|Arch: Robotic Fabrication in Architecture, Art, and Design” book, published by Springer for the first Rob|Arch conference in 2012 available for private use via the member section of the Robots in Architecture Forum. If you do not yet have an account, please sign up and send your username to robots@robotsinarchitecture.org. We will then unlock the members section for you. For everyone who is not (yet) a member, we invite you to become a member of the Association (go here for details)! Alternatively you can get the book directly from Springer and via SpringerLink. We’re also proud to announce the ABB Mobility Grant, which supports individuals engaged in robotic projects in the creative industry. 2014 is shaping up to be an exciting year, especially with the upcoming Rob|Arch 2014 conference in May at the University of Michigan. Thank you for being part of the Robots in Architecture community! We’re looking forward to seeing you in 2014! 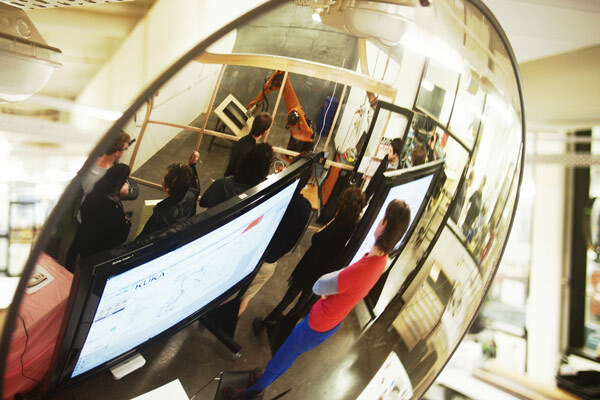 2013 has been a busy year for us with many new friends and access to various robotic labs all over the world. The deadline for the Rob|Arch 2014 paper submission has passed, and the quality of the submissions is again extremely high. Over the holidays, our reviewers will have the hard job of reviewing and picking the best papers to be included in the Rob|Arch 2014 book. The conference chairs want to thank both reviewers and authors for their hard work. In early 2014 there will be another call for Rob|Arch Video Submissions, to be exhibited on-site as well as online.